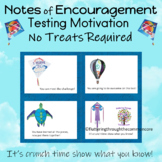 Test motivational notes using candy. 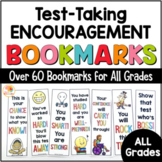 Great little notes to give your students a treat each morning before testing. The notes have camouflage background with red and white fonts. 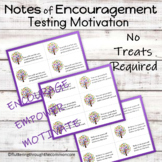 Motivational cards with spaces to write encouraging notes and pass out to your students before testing! This includes a PDF file with examples and an editable file where you can paste in your own Bitmoji characters! 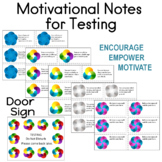 Bundle of all Math, Reading, and any subject motivational notes!Use these notes the morning of the test to inspire your students to do their best! Pair the note with a special treat for extra "good luck"! Treat ideas are given on each page. 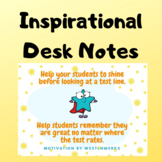 Use these notes the morning of the test to inspire your students to do their best! Pair the note with a special treat for extra "good luck"! Treat ideas are given on each page. Donut Worry Testing Notes Testing is no fun for anyone, especially our sweet students. 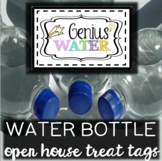 So, we all like to give them a sweet little treat and that extra motivation to do their very best on the test! What’s better motivation than donuts? That’s right, nothing! 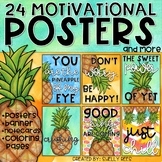 Donuts + Testing Motivation = THIS. Simply print these on card stock and pair with a mint. 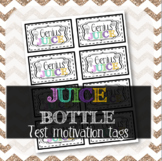 Your students will be motivated to ACE the test! 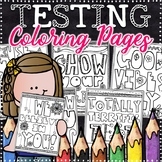 These are great for standardized tests.